SoftSheen-Carson Laboratories Magic Shave, for African American men’s grooming and shaving, celebrated their new Bump Rescue Skincare Line through its Magic Shave Approved campaign and partnership with Sony Pictures’ new comedy Think Like a Man Too, in theaters now. As part of the campaign, an advanced pre-screening of Think Like a Man Too was sponsored by Magic Shave, the movie’s official U.S. men’s grooming promotional partner, at Show Place Icon 15 in Chicago with cast appearances by Kevin Hart, Regina Hall and Terrence J. At the event, Magic Shave offered product sampling to eager moviegoers and invited them to enter their Think Like A Man Too sweepstakes for the chance to win a trip for two to Las Vegas. Through the dynamic campaign, the brand also hit Chicago’s hottest neighborhood barbershops where they picked up the tab for customer appointments, sampled Magic Shave products and provided movie ticket giveaways. 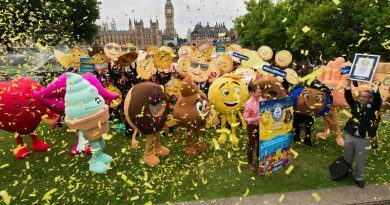 Consumers were also encouraged to share their smooth look using hashtag #MagicShaveApproved. Think Like A Man Too, the sequel, inspired by Steve Harvey’s best-selling book Act Like a Lady, Think Like A Man, is set in Sin City where all of the couples are back for a long wedding weekend. But plans for romance and fun go awry when their various misadventures get them into some compromising situations that threaten to derail the big event. Think Like A Man Too, directed by Tim Story, produced by Will Packer and written by Keith Merryman and David A. Newman, features all-star casting: Kevin Hart, Taraji P. Henson, Michael Ealy, Regina Hall, Gabrielle Union, Jerry Ferrara, Meagan Good, Romany Malco, Terrence J, Jenifer Lewis and Dennis Haysbert. Now in Theaters. 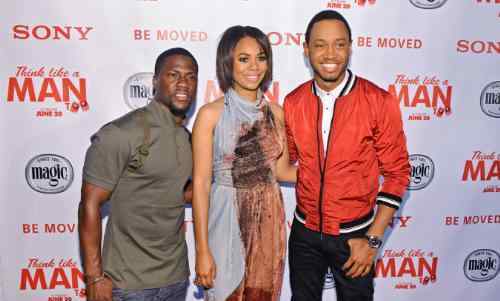 In the picture above: Kevin Hart, Regina Hall and Terrence J attend a screening of ‘Think Like A Man Too’ sponsored by Magic Shave at the Showplace Icon Theater on June 12, 2014 in Chicago, Illinois.